Description: The 1/2 inch (1.3 cm) wide, 4-petaled flowers are on stiff, horizontal stems. 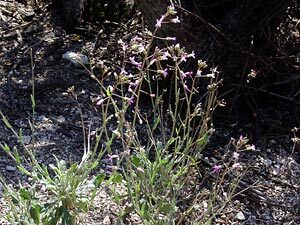 The flowers are followed by long, slender seed pods that are held horizontally to the stems. 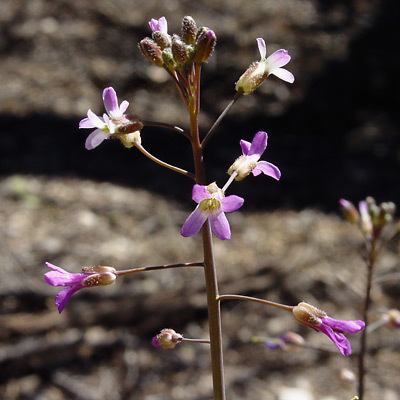 The basal leaves are toothed and spoon-shaped, while those on the lower stems are narrow and straplike.